The good news is that the band’s show in Lincoln, Nebraska at The Bourbon on Thursday (2-14) went off without a cancellation or delay, and was a great and energetic show according to numerous concertgoers who Saving Country Music spoke to following the concert. It was their first show back after the latest rash of cancellations. After the band cancelled a performance at Chicago’s House of Blues at the last minute on January 24th, it led to multiple cancellations from the band, including shows in the Midwest, and a headlining performance at Mile 0 Fest in Florida. However the band has confirmed all of their upcoming performances, including an appearance at Rodeo Houston on March 2nd. As for the turnout after all of the recent cancellations, The Bourbon announced a sellout for the show, and the room was packed. Attendees said that Turnpike did not address the crowd very much, about the recent troubles or anything else, which is not atypical for the band. Instead, they just launched into one song after another in a high energy show. Turnpike’s next appearance is Friday, February 15th at the Buffalo Run Casino & Resort in Miami, Oklahoma, and then on to a show in Waco, TX on Saturday. You can find all of their confirmed dates below. Folks, I’m not going to be reporting on each Turnpike show from here. May have something on their Rodeo Houston appearance coming up, but otherwise we’ll considering this the “all clear” signal for now, though I will be monitoring their appearances and if anything troubling or important comes up, I’ll be letting everyone know. Very happy that the good people of Lincoln got to enjoy it. Now, maybe he/they/who-the-hell-ever could stay sober enough to actually show up to the non-sellout shows in the rest of the Midwest that they continue to treat as throwaways. I was there last night and can confirm. It’s the third time I’ve seen them at the Bourbon Theatre and I thought they sounded great. Show was completely sold out and packed. There Wasn’t much interaction with the crowd, just like Trigger said, they played one great song after another. When they were finished Evan really seemed to enjoy himself, he was grinning ear to ear and the members gave each other some hugs as they walked off stage. I really like the Troubadours and hope all of them can find peace and happiness in all areas of their life. Seriously when Evan the rest of the troubadours are on top of their game a finer live band you will never see. I wish them all personal and professional contentment because I believe they have a lot of great music left to share with us. Good news. I just wish the band would play a show in my little old 2.4million person metro area more than once every 4 (going on 5) years. Same here. I live in Corpus Christi and I feel like some entertainers assume there’s no fan base down here for them, which is not true. We would LOVE for them to come back! Glad the show went off without a hitch. Texas/red dirt country is quietly a major draw in Nebraska. The Bourbon always sells out when they get those sorts of bands, Aaron Watson comes through once or twice a year as well as playing county fairs around the state, Sunny Sweeney has become a regular at Buck’s just outside of Omaha and Dale Watson plays the Zoo Bar in Lincoln a lot. Hope they keep this energy and do a great show at rodeo. Great. Let’s all rejoice at the ridiculous decision to not take a real break and get Felker the help he needs. Just because he can manage to keep it together for one show does not mean he’s “all better”, or that this whole debacle of cancelling shows last minute is over. Keeping him on the road is a completely idiotic move right now. I’ve lost all respect for TT and their management. Interesting note on fan interaction. I’ve seen them twice and didn’t think twice about it. But contrast that Jamie Lin Wilson, who I’ve also seen twice, and you realize just how incredible her fan interaction is and how much it improves the experience (depending what you are looking for of course). About fan interaction. I’ve seen some bands where the frontman is great at it and it adds to the show. Seen others where it’s awkward and / or forced or blatant pandering and it can be embarrassing. Or sometimes, a band can just play song after great song with nothing in between and it’s magic. Dwight Yoakam, Bad Religion and Turnpike come to mind among others. When your song catalog and band are that strong, you can just launch into song after song. Didn’t address the Waco crowd much but still played to and connected with them. Besides band introductions, he only noted after ‘Diamonds and Gasoline’ that he said he was gonna play it. And they threw a Dawes ‘All Your Favorite Bands’ into the encore before Bird Hunters, all they needed to say as far as I’m concerned. This is great news. I will be traveling to the Bloomington, Indiana show, so the good news continues!! Mike and Moonpies, IMO. Not only is it the safe bet but Duke’s is awesome. M&M put on a hell of a show last year. Accessibility to the band before and after the show was a huge perk last time too. Mike and the Moonpies, IMO. Not only is it the safer bet but Duke’s is amazing. M&M put on one hell of a high energy, lengthy show there last year. Accessibility to the band before and after the show was a huge perk too. Everything being equal it would be a tough call, but since you’ve seen TT and AA before, I would highly recommend the Moonpies. You will not be sorry. I went and watched the ACL show you reported on a few months ago after I read this article today. I’ve never seen them live, but man Evan looks like he’s going through the motions. He was so stoic? Idk if that’s the right word. He just didn’t look engaged. After reading your reporting it was not what I was expecting. This is just Evan Felker on stage in my experiences. I can think of a couple shows where you could call him “animated”, but I don’t think it’s the norm. Breaking news! Band on tour fulfilled their obligations for one night. Stay tuned! I was at the show in Lincoln. Evan looked frail and sickly. He and the rest of the band were drinking a bit (not a lot) during the show. However, he played and sang great with no issues. It was a great show in an awesome venue. I’m happy they’re back, but a bit worried about him and what the future holds. 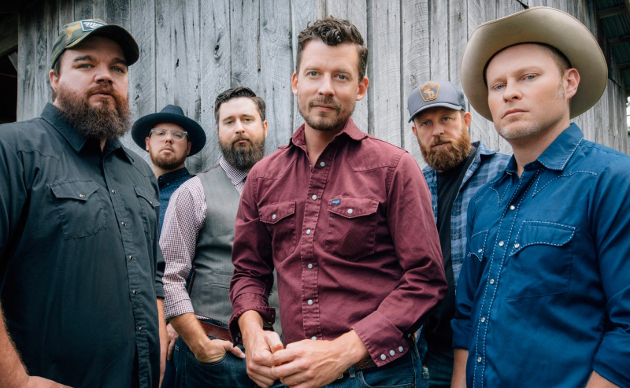 Someone just sent me a message Turnpike Troubadours didn’t finish their set tonight at Buffalo Run Casino due to a power outage. Congrats to Evan who finally managed to get better press than Miranda this week. And, all he had to do was show up!